What is the Utah SEO class? SEO is an effective way to gain visibility online for your Utah business. The Utah SEO class at the University of Utah Eccles School of Business provides you with the SEO training you need to grow your company. Even if you have no marketing or website experience, this Utah Search Engine Optimization class will cover everything you need to know to learn SEO. 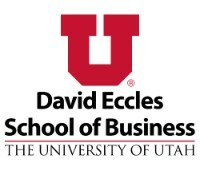 Come attend the Utah SEO class at the University of Utah David Eccles School of Business to learn more about search engine optimization and how you can use search engine and social media marketing to build your business. Watch this short video for explanations of some of the SEO ranking factors that impact your company’s search engine performance. Why Should Your Utah Business Care About SEO? SEO opens a new channel to increase your customer acquisition and brand recognition. SEO gives you an opportunity to grab market share and build your business’s authority. How to properly set up a website and get visibility in Google and other search engines. How to optimize your webpages for on-page SEO ranking factors. Utilizing social media and link building to influence your website’s off-page SEO ranking factors. How local SEO can be used to get more customers to your door. Go to our SEO blog to learn more about some of the on-Page and off-Page SEO ranking factors. Tony is a good professor who approaches his teaching from a real-life perspective. Our homework worked at creating a marketing campaign for a local company. The Utah SEO class was extremely informative and not intimidating. I had zero knowledge of Utah SEO or content marketing before this class, and now I have a strong foundation on the subject to know the dos and don’ts as well as how my website can improve rankings and getting found online. Highly recommend to everyone! Take the guesswork out of online marketing. After completing the University of Utah SEO class, you’ll have the skills to consider yourself a true SEO expert. Even if you plan to outsource some of your work to an SEO specialist or an agency’s Utah SEO services, this class will provide you with the tools and knowledge you need to make sure you select the right one.